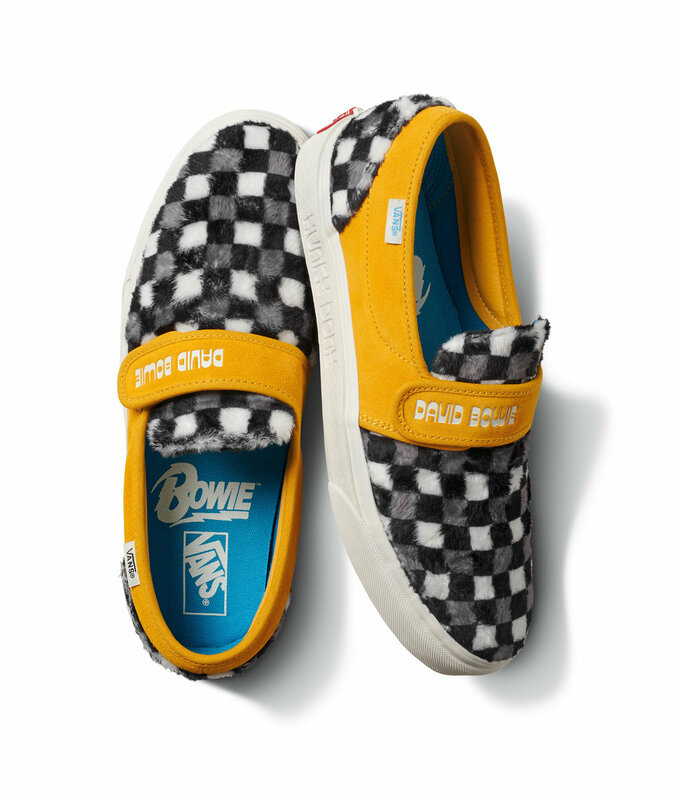 Last week Vans launched two new collaborations one with the revolutionary artist David Bowie and another with pro skater Lizzie Armanto. For the David Bowie collection there includes a five-piece apparel and accessories capsule each styled to represent moments from the Aladdin Sane and Ziggy Stardust album covers. The footwear for the collection begins with the Vans Classic Era paying homage to Space Oddity, the Slip-On 47 V with fuzzy checkboard uppers reminiscent of the coat seen on Bowie on the Hunky Dory album, the Sk8-Hi Platform 2.0 that gives a glam rock vibe decked out in red patent leather with embossed Bowie lettering and black platform sole. There’s also the Vans Old Skool that is dedicated to Bowie’s Aladdin Sane album that features an pearlescent pebbled leather upper accented by the iconic red and blue lightning bolt and finally his final album is highlighted across a Vans Classic Slip-On model. 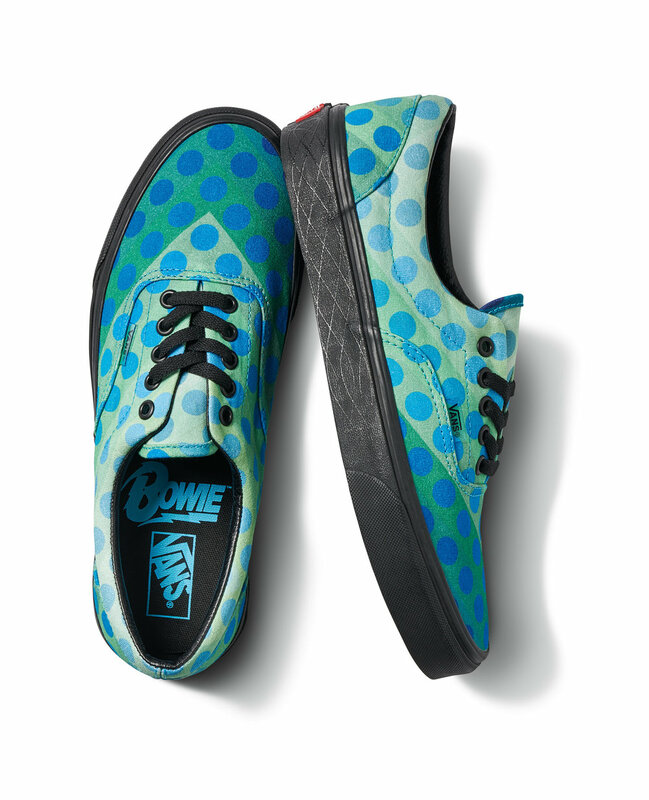 With that said, there’s a lot to love from the Vans and David Bowie collection. Now let’s talk about the Vans and Lizzie Armanto collection. Lizzie is a Vans global skate rider and has been apart of the Vans family since 2014. Armanto has emerged as an icon of originality and an inspiration to aspiring skaters across the globe. When she’s not traveling or at her local skatepark, Lizzie continues to make her mark in skateboarding history by becoming the first woman to complete the infamous Tony Hawk loop in late 2018. Her new collection is lavender everything. 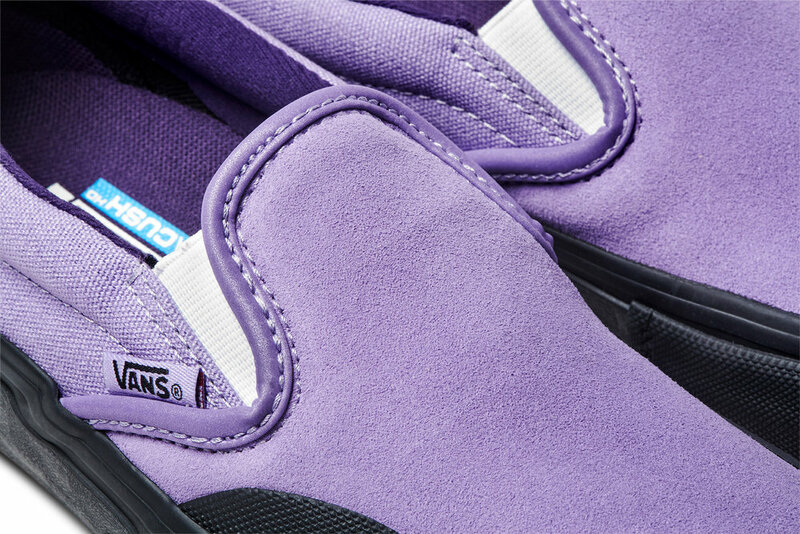 It includes a beautiful lavender pack featuring the Vans Slip-On Pro, Sk8-Hi Pro and some cute apparel to match. Lizzie’s collection was designed with movement in mind and it both stylish and functional. The collection features the Lizzie Bodysuit, the Lizzie Raglan Hoodie both in the lavender colorway and also includes the Lizzie Skate Pack that keeps all travel essentials tucked away in a backpack that’s ideal for tech storage, skate gear and more. If you’re feeling the collection you can shop it above. Which of the Vans collaborations do you want to get your hands on? Let us know on social.